One of the unknown gems of mid-century modern architecture in Palm Springs. 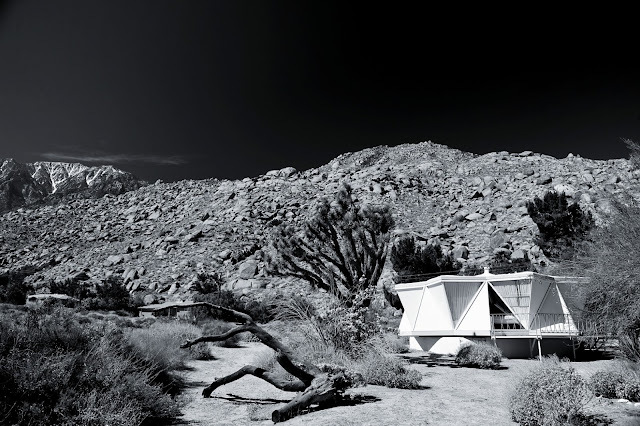 The iconic mid-century modern D'Angelo Rotating House was designed in 1962 by Floyd D'Angelo and engineer Henry Conrey. This aluminimum house rotates for part of a circle to position the windows avoiding direct sun and to have different mountain views. The D’Angelo Rotating House is located in Snow Creek Cabazon in close proximity of Palm Springs. The house has survived the last 50 years in reasonable good shape. You can find more images of this house on Flickr.